The development firm bringing Miami its first hotel and expo center is not only providing hundreds of new jobs but is a partner in training the employees who will one day work at the facility. It was no coincidence that this week’s announcement of the expo center’s targeted opening date of fall 2018 was made at the Overtown Community Center on Third Avenue, formerly the Ebenezer Methodist Church and soon to be the Miami Dade College Hospitality and Culinary Institute. That facility, once renovated and opened in 2016, is expected to be the place where people will be trained for hospitality and culinary jobs available at the $750 million, 1,800-room Marriott Marquis Miami Worldcenter Hotel & Expo Center. “All the people trained there in that building as cooks are people we are going to hire,” MDM Group’s Director of Development Joseph Herndon told Miami Today. At a press briefing Tuesday in Overtown, MDM Group announced that its hotel and expo center will open in 2018. The large mixed-use project will rise on the site of the old Miami Arena. It is a key player in the sweeping Miami Worldcenter development, which is destined to turn more than 10 blocks in Park West into a hotel, condo, shopping and entertainment destination. Developers of Miami Worldcenter had their own announcement this week: The city’s planning and zoning department cleared the project for building permits, and construction is to begin in the third quarter of this year. MDM Group said the hotel and expo center alone is expected to generate more than $1 billion in total tax revenue over the next 30 years and will create more than 1,300 permanent, direct jobs. The complex will feature the most technologically advanced conference space in the nation, with amenities that include a 65,000-square-foot grand ballroom, which will be the largest in South Florida, according to MDM. The hotel and expo center will also offer a 45,000-square-foot junior ballroom, 100,000 square feet of exhibition space and 390,000 square feet of additional meeting and event space, as well as a 1,500-seat theater. MDM Group is collaborating with key community partners such as CareerSource South Florida, Miami Dade College, Miami Dade Public Schools, Goodwill Industries and others to eliminate barriers to entry for the 1,300-plus direct jobs that are expected to be available when the hotel is fully operational. The new development will be transformative for the community in the Park West area of Downtown Miami and the region overall, including Overtown, he said. It will help bring the same energy and excitement MDM Group has generated through its projects in Dadeland, Brickell’s Financial District, and Downtown Miami’s urban core, with the recent development of Metropolitan Miami, the $1 billion mixed-use, master planned project where Whole Foods Market recently opened, Mr. Herndon said. He said the hotel and expo center will present the first combination of a five-star quality hotel and major conference center to Downtown Miami, achieving a goal sought by local leaders for decades. “This is a very complex project with a lot of moving parts,” Mr. Herndon said. Initial construction, he said, will begin before the end of this year. One important distinction Mr. Herndon wanted to point to is this: “We operate what we build.” The hotel and expo center project is “not just built for a turnaround… and we bring along the community with us,” he said. Once the hotel and expo center opens, there will be many new jobs to fill, and that’s why it’s important to begin job training now, he said. “We know we’ve got to start that process now,” Mr. Herndon said. Other participants in the employment training stressed a current shortage of hospitality and culinary workers in the region. “It is time to hire for the growth, and it needs to start now,” said Mr. Herndon. 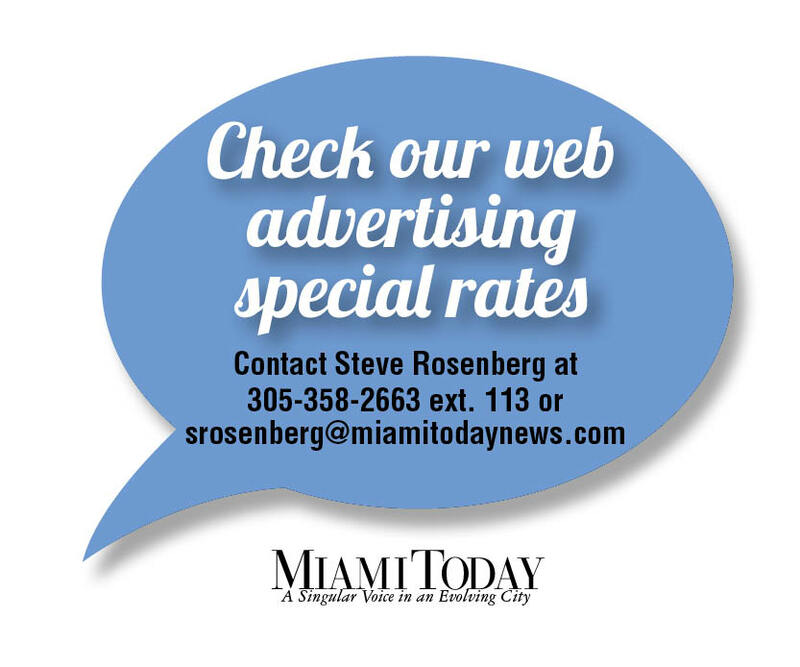 Above and beyond the anticipated 1,300 jobs at the hotel and expo center in the fall of 2018, it is projected that the new center would support another 2,400 hotel rooms in Miami, which could mean an additional 4,000 jobs, said Mr. Herndon. Cheri Kavehersi of CareerSource South Florida said her organization is hard at work trying to meet current needs in the hospitality industry. “We’re bursting at the seams lately with various projects and developments and we’re trying to meet that need,” she said. Ms. Kavehersi is excited about the employment prospects generated by the hotel and expo center. “I think it’s tremendous,” she said. Shelly Fano, executive director of the Hospitality Institute of Miami Dade College, said the hotel and expo center will mean wonderful new opportunities for students at MDC, providing jobs and internships. “We’re very proud to be a partner,” she said. Ms. Fano said the Hospitality Institute since 2008 has been working with the Overtown CRA, which has provided a good portion of funding for the Hospitality Institute, based now in the basement of another church in Overtown. The Culinary Institute is at the college’s Wolfson Campus. After the $2.5 million renovation of the church on Third Avenue is completed in late 2016, it will be the new home of a combined job training facility, Ms. Fano said. Money for the work is coming from a combination of a grant from the Department of Commerce and funds from the college and Overtown CRA. Ms. Fano said there is already a shortage of workers for the hospitality sector. In addition, another 8,000 hotel rooms are expected to be built in the county in the next two years. “The people who go through this training more than likely will have a job and the end of training. People need jobs and we need the workforce – it goes hand in hand,” she said. Also at Tuesday’s press briefing, MDM Group introduced the designers of the hotel and expo center and released several new renderings of the facility. The project is designed by Miami architects Nichols Brosch Wurst Wolfe & Associates. RTKL is the development’s interior design firm. “We have grown to expect extraordinary hotels from MDM Group,” said Noah Silverman, chief development officer, North America full service hotels at Marriott International. 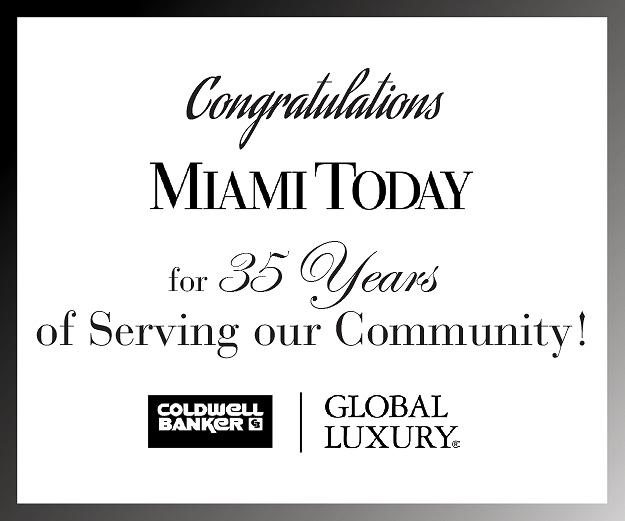 “They are among Miami’s most respected developers, and their projects are brand-builders for Marriott International. We are extremely pleased to be working with MDM to make the Marriott Marquis Miami Worldcenter a reality. 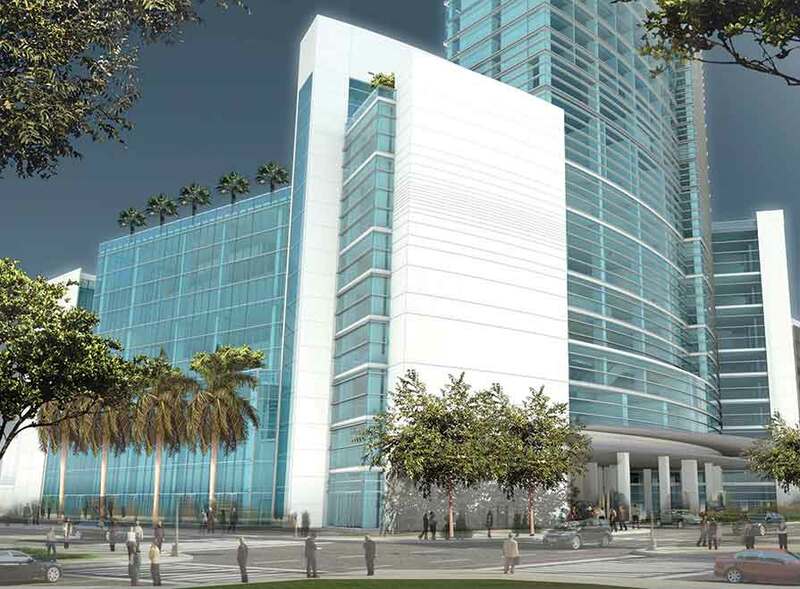 This project is destined to provide Downtown Miami its premier meeting and conference destination,” Mr. Silverman said. Marriott Marquis Miami Worldcenter Hotel & Expo Center will boast a contemporary, cutting-edge design that offers visitors and residents easy access to area amenities like the Miami Worldcenter lifestyle center next door, inclusive of Macy’s, Bloomingdale’s and a broad range of other retailers, said MDM Group. Visitors are likely to be able to easily access the site through a wide-range of transportation alternatives, including All Aboard Florida’s proposed passenger train station, Tri-Rail’s anticipated Downtown Miami link, and via the Metrorail and Metromover, all of which are within a quarter-mile walk of the site. The project’s proximity to both I-95 and I-395 provides easy vehicular access to such other parts of the community as Miami Beach. 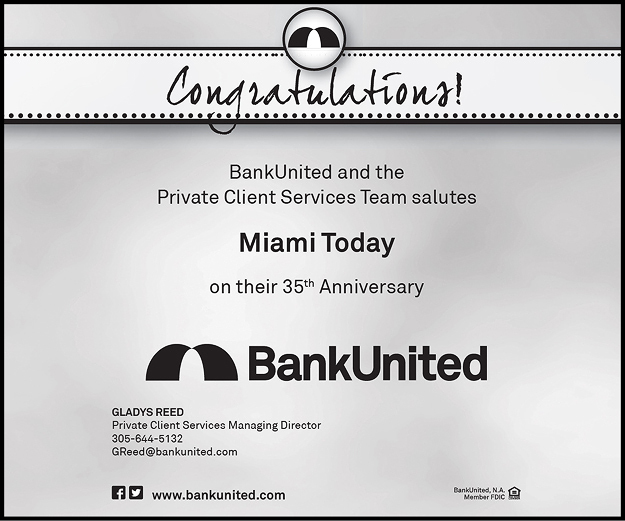 In 1998, MDM Group embarked on the JW Marriott Hotel Miami – the first luxury-branded hotel on Brickell Avenue – and Barclay’s Financial Center, a mixed-use facility in the heart of the Brickell financial district. That project was a catalyst, serving as the key factor in the overall development of the Brickell Avenue corridor, said MDM Group.